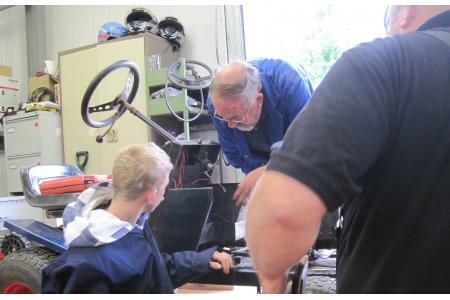 GASP Motor Project provides hands-on courses in basic motor mechanics and practical engineering for young people aged between 14 to 19 years who live in Surrey and the surrounding area. Our accredited daytime programmes, delivered from a purpose-built workshop by a skilled team, are targeted at young people who are hardest to reach, and those with special educational needs. GASP evening sessions cater for those in mainstream education and working for DofE Awards. We also run a mobile provision. GASP empowers young people to progress through education, training and employment, and to gain confidence and self esteem. It supports the advancement of crime-resistant communities, diverting young people at risk of anti-social behaviour, providing alternatives to alcohol and drug misuse. GASP provides non-judgmental, caring and practical support, delivering a vital learning and development experience to client groups, helping to change attitudes and reduce re-offending for some young people.